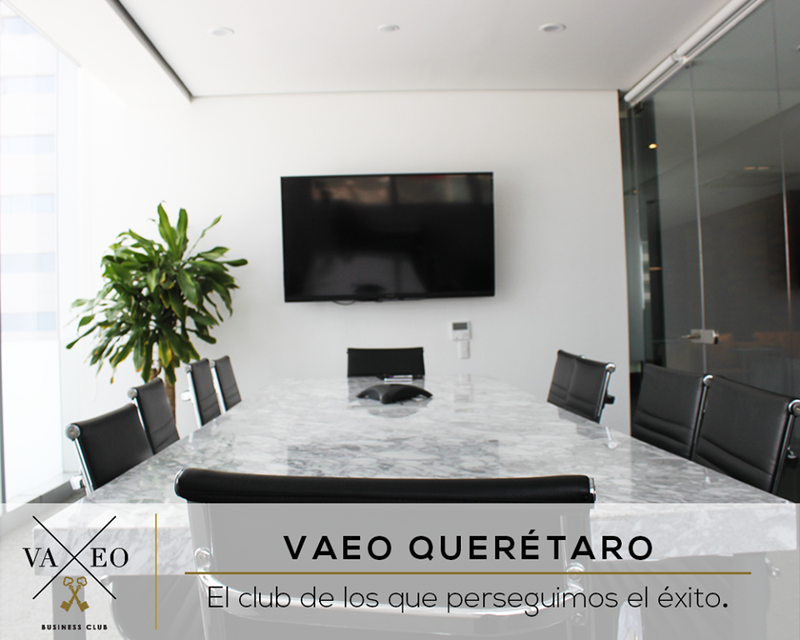 This business Club is located in Queretaro, capital of the state of Queretaro, a beautiful, modern up-coming city just 221 km northeast of Mexico City. Conveniently located in the well-known building complex Central Park. The high tech tower has apartment buildings and a shopping centre. Enjoy trendy coffee shops, boutiques and restaurants just downstairs of your office. Need inspiration? VAEO has private offices with spectacular views of the city. VAEO is a world-class Business club, good ergonomics, well thought-out working desks, modern furniture, moreover, at the VAEO Networking events you get to make valuable relationships with other executive VAEO Business Club members. The site offers pshysical office space with the plus of concierge service, the prices are reasonably fair for the experienced business man that enjoys working at professional and elegant premises. Freelancers and smaller start-ups also enjoy a virtual space offer, along with full memberships. Este business club se encuentra localizado en Querétaro, la capital del estado de Querétaro, una hermosa, joven y moderna ciudad a solo 221 km al noroeste de la Ciudad de México. En la mejor ubicación, en el complejo Central Park, conocido como el más famoso conjunto de edificios en la ciudad. La novedosa torre cuenta con un concepto de departamentos habitacionales conjuntamente con una plaza comercial. 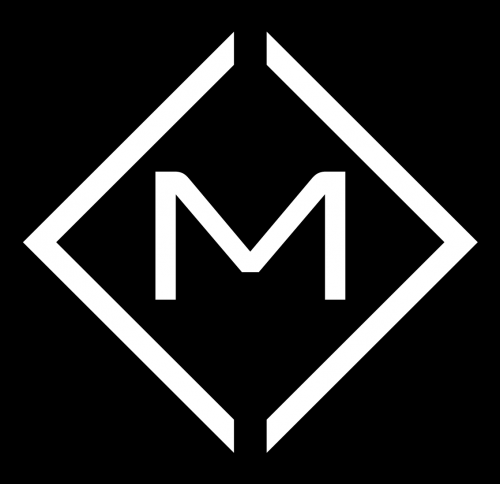 Disfruta cafés, boutiques y restaurantes de moda en el piso deabajo de tu oficina. 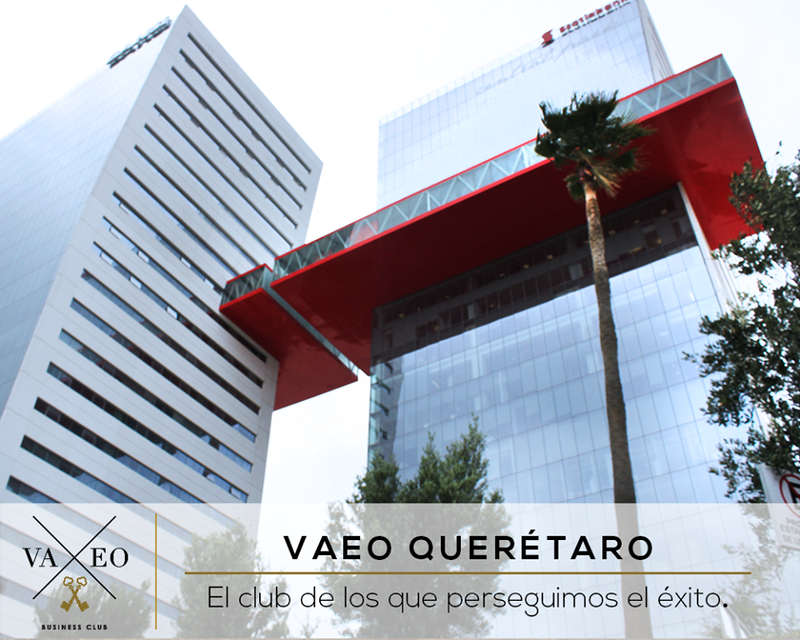 ¿Necesitas inspiración?, VAEO se ubica en pisos altos, con vistas espectaculares de la ciudad. 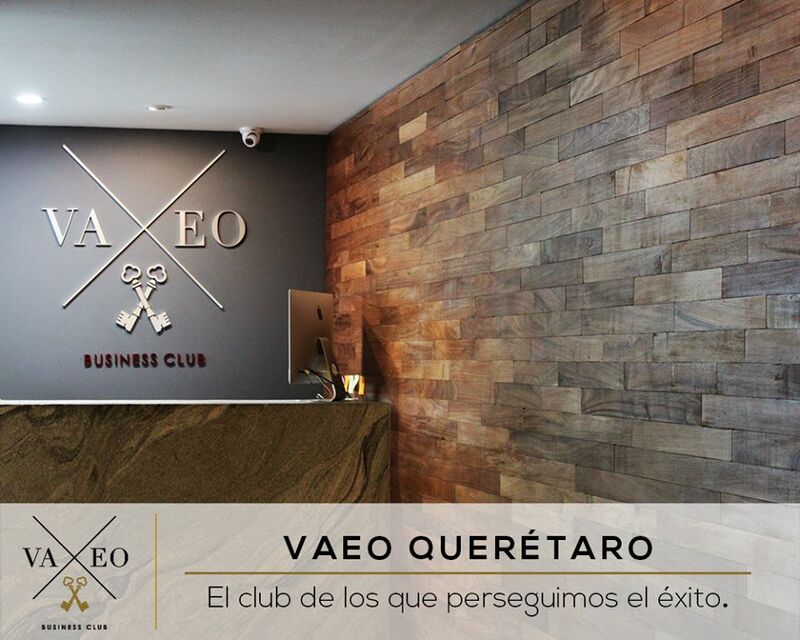 VAEO es un business club de primera, mobiliario moderno, áreas de trabajo bien delimitadas, además, en los eventos de NETWORKING VAEO tienes el plus de poder conectar con otros Socios ejecutivos VAEO Business Club. El sitio ofrece espacio físico privado con el servicio de concierge, los precios son razonables para el empresario experimentado que disfruta trabajar en instalaciones profesionales y elegantes. Este coworking te ofrece a los freelancers y empresas pequeñas varios paquetes con precios variados y flexibles, porque: --“No importa tu presupuesto, VAEO tiene una opción para que estés presente en el lugar más sofisticado de Querétaro”. Por tal motivo representa el lugar ideal para trabajar en la creciente y nueva ciudad de Querétaro. Are you a member of VAEO Business Club? 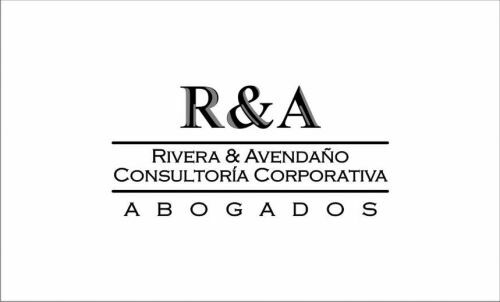 El lugar me parece muy bueno, la atención, el servicio, las instalaciones y los empresarios que convivimos en este espacio son excelentes, se presta para tener una oficina de calidad triple A e impacto positivo en tus clientes. Recomendado al 100 %. El mobiliario, instalaciones, la limpieza y el servicio de concierge para poder desarrollar tu trabajo son de primer nivel. La imagen que proyectas a tus clientes generan seriedad y la confianza que se requiere; así como la comodidad para trabajar. Estoy seguro que no hay nada igual en Querétaro México. 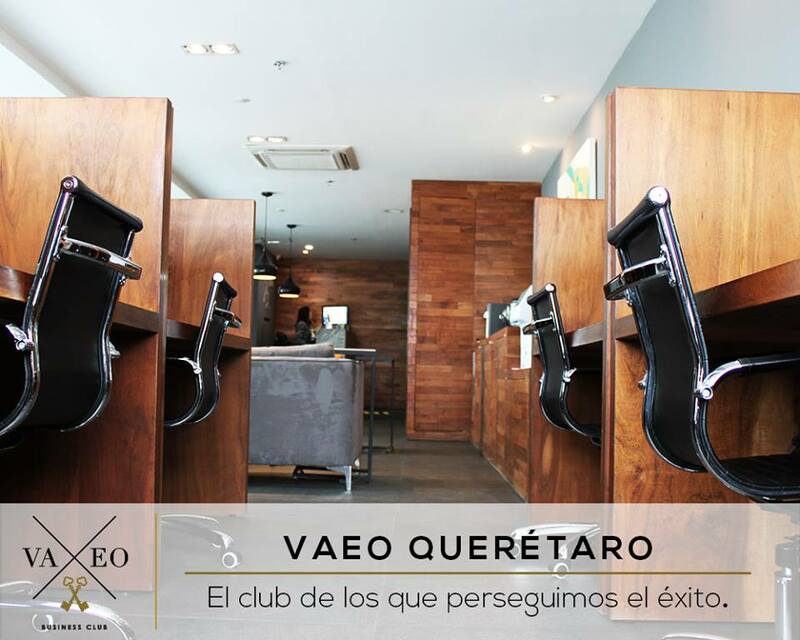 Excelente servicio de VAEO Qro, Gaby es muy profesional, y las instalaciones estan comodas, hermosas y con una visión del estado de Querétaro increible. "Great way to Start your Company"
In VAEO I've found a Business Club that helps me in my Startup. I'm Starting a Human Capital Consultancy and VAEO have the workplaces, meeting rooms, and services to make my guests feel in comfort. Also the support services such as company line, delivery services and a great enviroment for business. "The perfect place to work." All the people are very professional, the attention is very personalized, the facilities are top notch. In short words....... it is an extraordinary place to work. A great place to work, with such a great view and conveniently located. 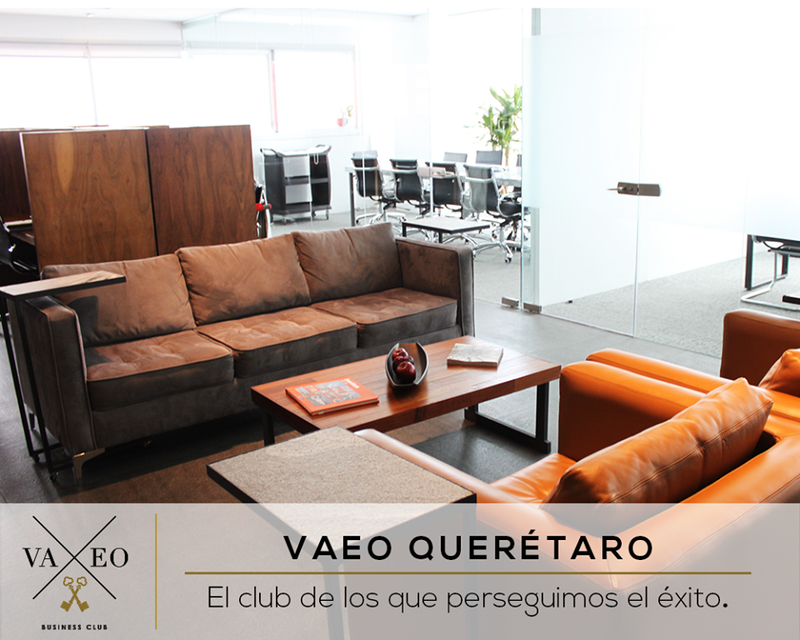 "The best place to work quiet and confortable"
VAEO is a wonderfull place to work, good views of Querétaro city, excellent service, accesible ubication, meeting rooms with everything you need, good atmosphere, and what I most like is the exquisite coffee they serve. Without hesitation the best place to work quiet and confortable. Everything is in excellent conditions, it makes you work easily and comfortable. 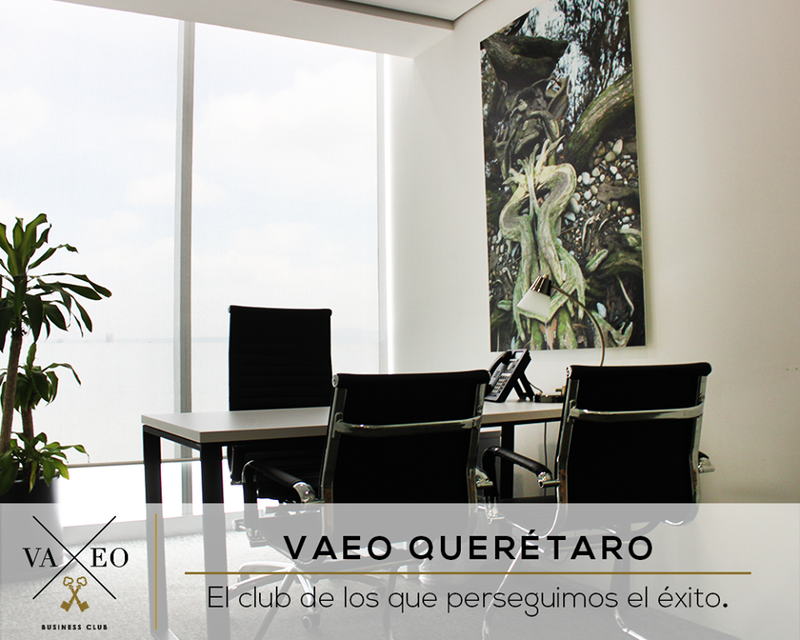 "VAEO Coworker Querétaro helps your business to grow faster!!" 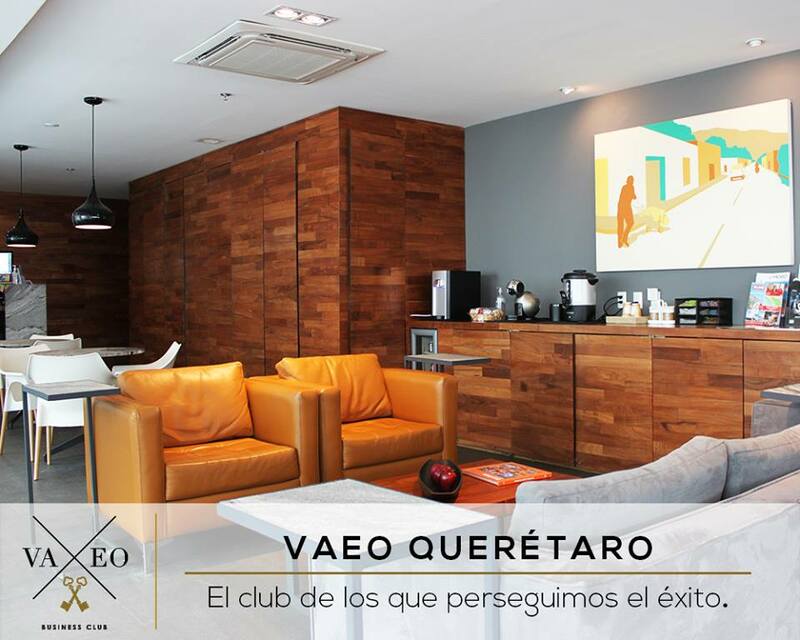 In VAEO Querétaro you can grow in a faster way you can achieve your goals with this partnership between VAEO and your company, great facilities, atmosphere of work, respect and help, VAEO by far is the best coworking space in Querétaro!!! "VAEO Business Club is the best place to do business"
VAEO is the place to be. If you are an entrepreneur, this location is your "one stop shop" for most of your needs to initiate a business. Its atmosphere is productive and collaborative among associates. Service is warm, yet very professional and customer focused. "It was pleasent to visit VAEO Business Club"
VAEO Business Club has the highest quality services in town, the location is the best corporate building in the business area and has a luxury furniture. "Excellent place to work in... lovely view, professional environtment"
Every detail is great: atmosphere, technological devices for my clients, fair prices. The location is excellent, everybody knows the area and they express very well when they come and visit. Coffee brewer is a plus. Freshly grounded coffee beans makes excellent Capuccinos and Expressos. VAEO Business Club will be in touch with you soon to confirm. VAEO Business Club has received your membership enquiry and will be in touch with you soon.